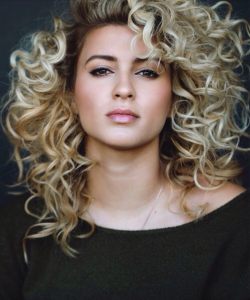 Yes, we’re currently giving away Tori Kelly’s debut album ‘Unbreakable Smile’ here on the site (discover the link in the sidebar on the desktop version of the site and towards the bottom on our mobile edition). So we’re certainly not going to let the video for the US starlet’s latest single ‘Should’ve Been Us’ go by without a mention. She might still be in the ‘getting to know you’ phase of her pop career in terms of Australia, but almost a million views on the clip globally in less than a week is no bad effort whatsoever. It’s a little bit music video and a little bit live clip (probably too much of the latter for our liking), but it’s bright, colourful and holds your focus for the obligatory three minutes while the song itself does its job by drawing you in.